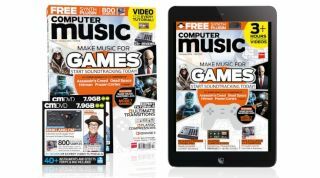 Start your career as a video game musician today with our massive cover feature, including an exclusive video masterclass by nervous_testpilot on producing the soundtrack for Mode 7's Frozen Cortex, and pro advice from the composers behind Assassin's Creed, Tomb Raider, X-COM and more! • Pitching for game soundtrack work and get the gig! We talk to a host of composers and developers, including Jesper Kyd (Assassin's Creed, Hitman), John Broomhall (X-COM, Forza), Jason Graves (Tomb Raider, Dead Space), Jessica Curry (Dear Esther, Amnesia), Terry Cavanagh (VVVVVV, Super Hexagon) and Dan Marshall (Ben There, Dan That), about how they got started, what they consider to be the essential elements of a great soundtrack, and the best advice they could give to anyone looking to get in the game. Mak & Pasteman samples:Over 750MB of exclusive hits, loops and multisamples from the formidable bass-house production duo, drawing on their impressive array of hardware and software gear. They're all yours to download with CM208! Learn how to create seamless, natural-sounding harmonic transitions using chord inversions. Paul "InsideInfo" Bondy's brand new sound design tutorial series kicks off with a step-by-step walkthrough and video on how to make massive riser effects! Every issue of Computer Music comes with CM Plugins, an exclusive collection of pro-quality VST/AU instruments and effects for PC and Mac. Check out our full CM Plugins listand the CM Plugins FAQfor more info.